Think of Search Engine Optimization (SEO) as specific tactics to help improve the likeliness that the major search engines (i.e., Google, Microsoft’s Bing) will index your website content and present your pages among the natural (“organic”) results displayed to search engine users. 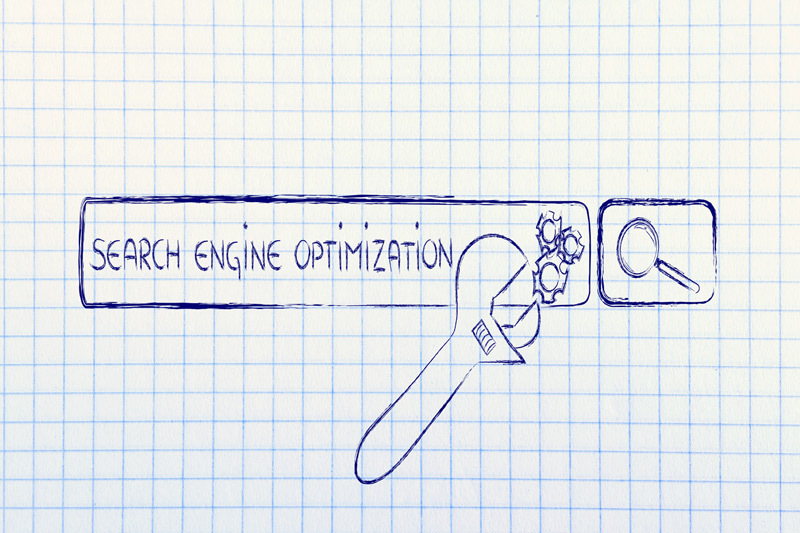 Search Engine Optimization is not rocket science. But it isn’t a simple check list either. Our philosophy is to apply current tactics in a way that will help, not hinder, the search engines ability to identify your content as being high value and relevant. Each website our team creates from scratch is designed from the planning stage with SEO best practices in mind. Content pages are designed around specific keywords and phrases relevant to the brand. Information architecture, site navigation, naming conventions, titles, headlines, meta data and layout all contribute to the success of the SEO effort. There are numerous other things we do, too to increase success. We create and submit site maps directly to the search engines to trigger them to crawl for new changes and to monitor for problems. We’ll seed some of your high-value content elsewhere online to increase the potential of consumers becoming exposed to your brand. We use monitoring tools to detect any technical problems that the search engines may flag. Plus, we’ll work with you on a link-building strategy to build valuable in-bound links to your website over time. As in life, there’s also a dark side to SEO. We absolutely do not participate in any “black hat” tactics. Those are typically quick hit attempts to trick the search engines. What happens in the long run is that the credibility of your website is ruined and the major search engines devalue your content or worse — ban your website altogether from their index. There is no easy recovery from that so it’s better to steer clear. Don’t pass up getting more quality visitors to your website. Let’s discuss a Search Engine Optimization solution that’s right for you. Please call (908) 344-5688 or use the Contact Form.